In a small food processor, blend together the mint, basil, garlic, pine nuts, lemon, salt and pepper. Drizzle in the olive oil until and blend until smooth. Taste and adjust seasonings. 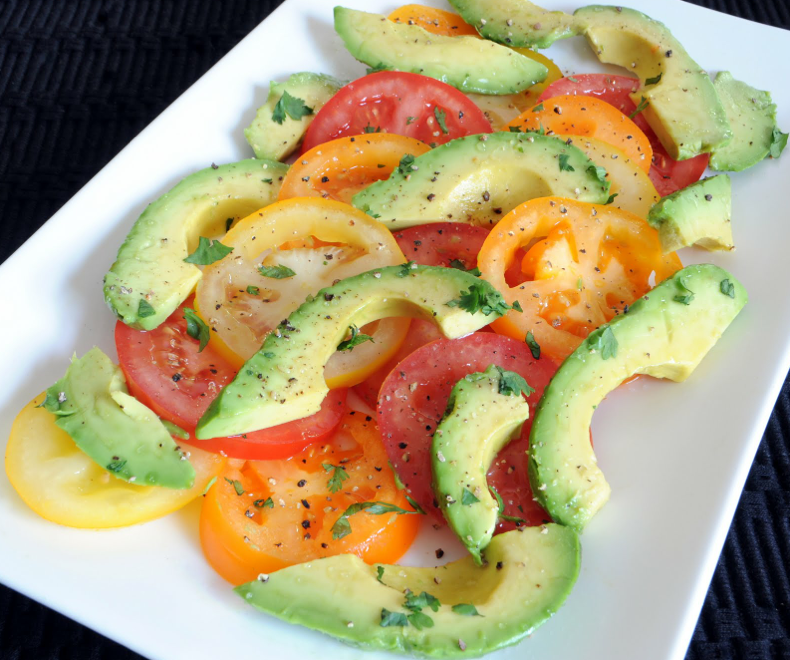 Slice tomatoes and avocado and arrange on a plate. Season with salt and pepper, then drizzle pesto over the top. Store extra pesto in the fridge.